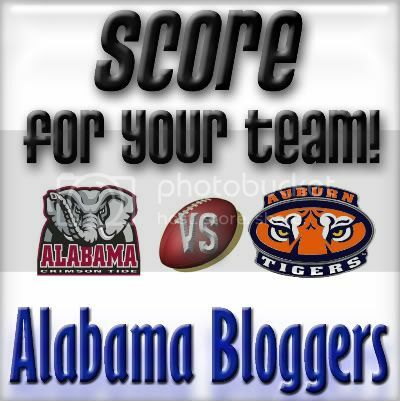 Alabama Bloggers: Zoës Kitchen Sponsors Giveaways for Football Carnival!! Zoës Kitchen Sponsors Giveaways for Football Carnival!! The Score For Your Team Football Carnival has just gotten better and MUCH more delicious, thanks to Zoës Kitchen!!!! Zoës Kitchen, which happens to be my FAVORITE restaurant in the world, has just given us TEN Free Lunch Cards to give to the participants of the Football Carnival!!! Here's how it will work: Because football is all about competition, if you've participated and are on the WINNING team (based on the total counts of participation), you are eligible to win one of five of the Free Lunch Cards. If you participate at all no matter which team (and it doesn't just have to be Alabama or Auburn - it can be ANY football team!! ), you are eligible to win one of the other five of the Free Lunch Cards. That way, everyone has a chance to win, but there's a greater chance if you are on the winning team!! So be sure to recruit all of your fellow football fans to help boost your team's numbers!! Post one of the buttons available on the Carnival post on your sidebar and comment on this post or the carnival post letting me know to enter you into the giveaway. Write a post on your blog about whatever you want that is football related (you can even write about how you're not quite as big of a fan as everyone else in this state like I did!! ), and put the carnival button for your team at the top of it. Be sure to add your post to the linky on the Carnival post so that everyone can come visit you and so that you are entered for the giveaway! IF you are already participating, you can get one extra entry into this giveaway by following Zoës Kitchen on Twitter, OR Zoës Kitchen on Facebook. 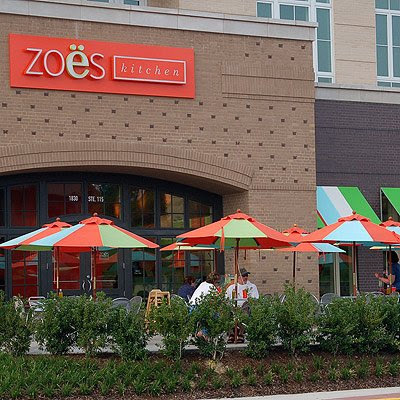 Zoës Kitchen has an AMAZING menu, and I believe is one of THE best Alabama-based restaurants! Their Chicken Salad is literally the best I've ever had; their rice and potato salad are amazing, their grilled chicken is perfectly seasoned and extremely tender - everything there is perfection!!! I literally could eat there every day and be perfectly happy. They have quite a number of locations, and are opening more all the time. There should be one fairly near you! So, be sure and participate in the Score For Your Team Football Carnival so that you can be entered to win one of TEN free lunches from Zoës!!! This giveaway is open until September 7th. The winners will be randomly drawn and announced on September 8th. Good luck, and THANKS, Zoës!!!! That makes this little party even better. I'm going to go follow on Facebook right now. I follow Zoe's on FB and on Twitter. I've got the button and I wrote the post. All I need now is some Zoe's chicken salad and a place to tailgate!!! PLease add me 3 x's! Thanks! I have the button & I'm a fan on facebook!